Let's face it, ladies; men are dopes. So when Christmas finally rolls around, it should come as no surprise that we haven't got a clue what you'd like. And asking you is out of the question, because that would mean admitting we "don't listen to a word you say." 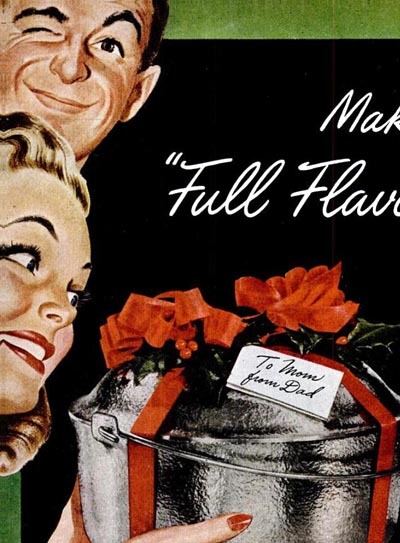 ... and fails to realize the expression on this lady's face isn't one of sheer ecstasy - its one of sheer incredulity. "Oh my god, this idiot actually bought me a vacuum cleaner... for Christmas!" 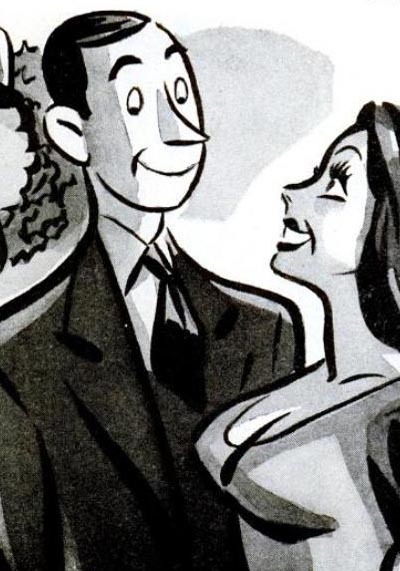 You know, divorce rates in the US began to climb dramatically after the early '60s. 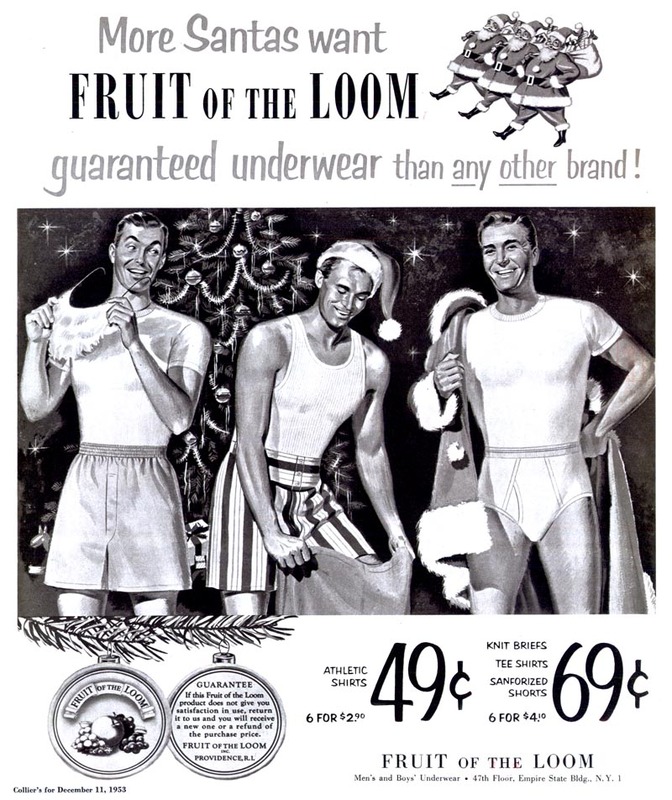 I suspect it was all those post-WWII marriages that were suddenly becoming unglued. Whatever their number, I bet you could blame Madison Avenue for at least half of those divorces. 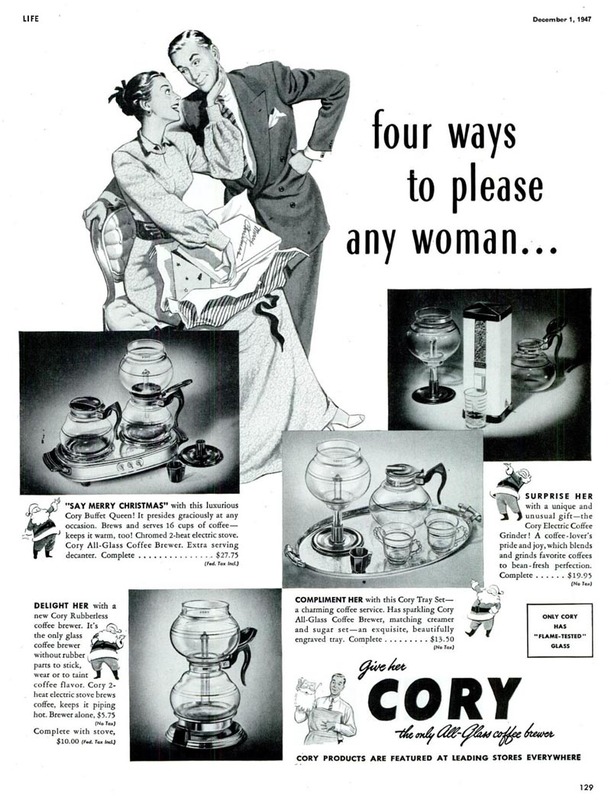 There are actually more than four ways to please any woman - none of them involve giving her a coffeemaker. 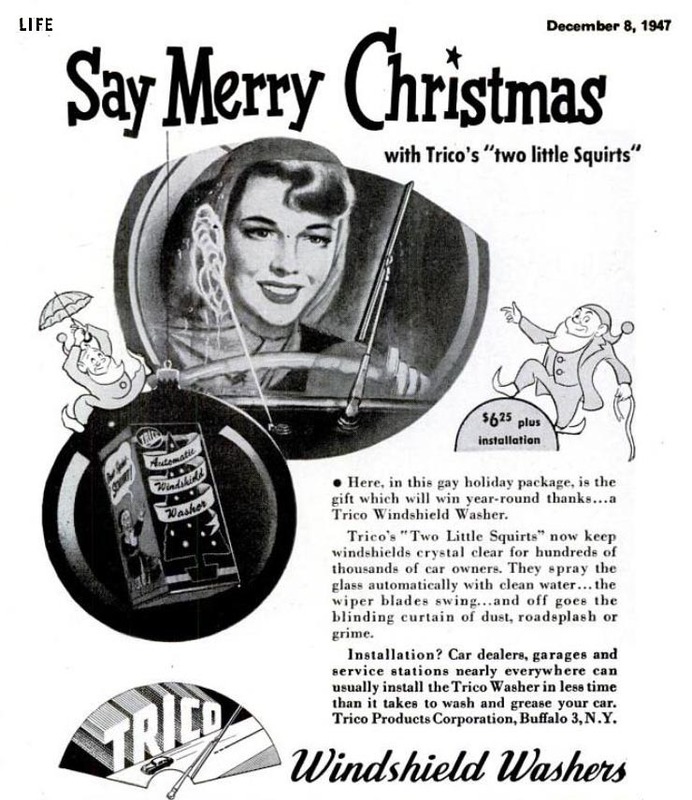 Oh god, do not give your wife windshield wipers for Christmas! Seriously? A long pointy knife? All I can say is, learn to sleep with your eyes open, buddy. ... a new razor, of course! Why? What did you think I was going to say? I think modern folks sometimes don't understand the time saving inherent in things like vacuum cleaners and washing machines. These devices seem unromantic, but back in the day, if a housewife didn't have one she was spending a lot more time and effort working at home. These devices gave her more time to relax and made the work easier. It would be like giving an accountant with an abacus a calculator for Christmas. I don't think he'd be offended. *BRAVO* This is dead on perfect and hilarious. 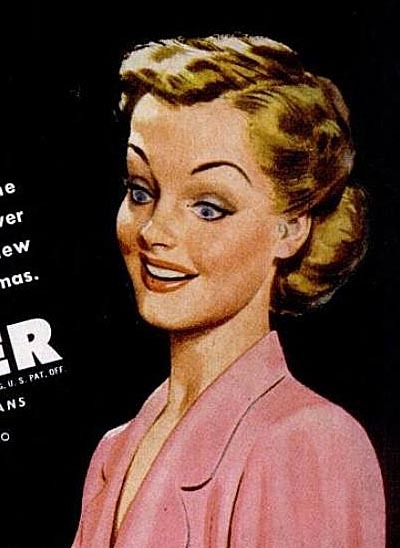 Can totally tell these adverts were pre "Peggy!" Although, I do agree with Matt, Hoovers were the iPad of their day AAAAAAANNNNNND I did put a Dyson on my Santa list. But, I'm abnormal so that doesn't say much. Thanks Jennifer; we own a Dyson and it really is a wonderful thing. 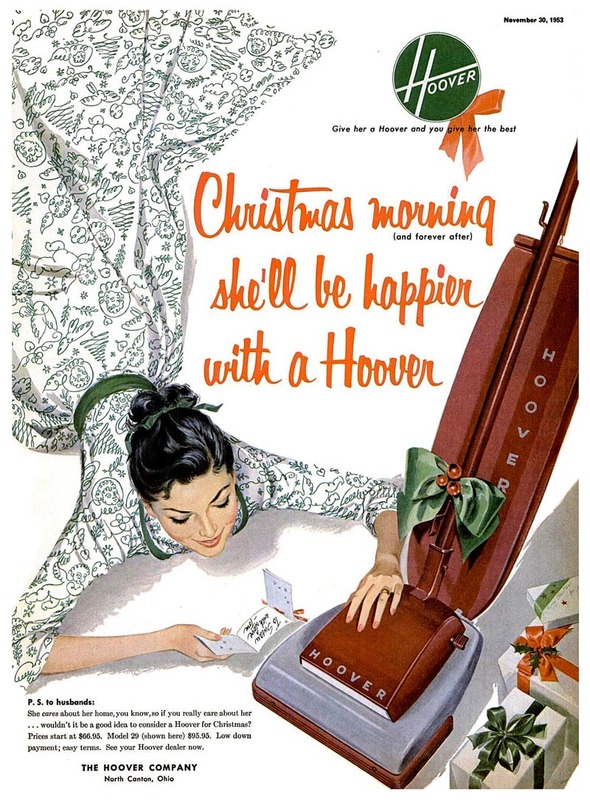 But let's be honest - would you rather have a Dyson on your Christmas wish list... or a cleaning lady? 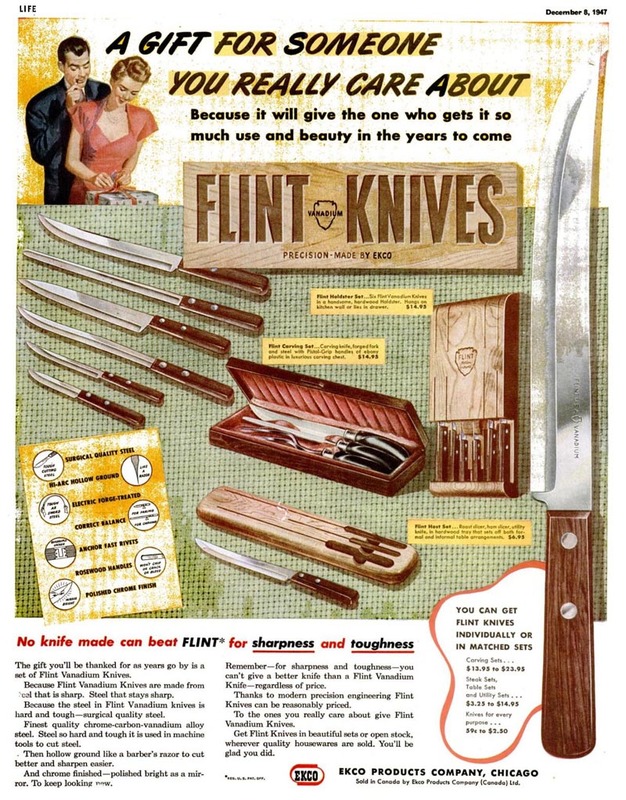 Excellent writing on this post; and I agree, in 20 years of marital bliss I have had my simpleton moments (thankfully pointy knives was not one of them). 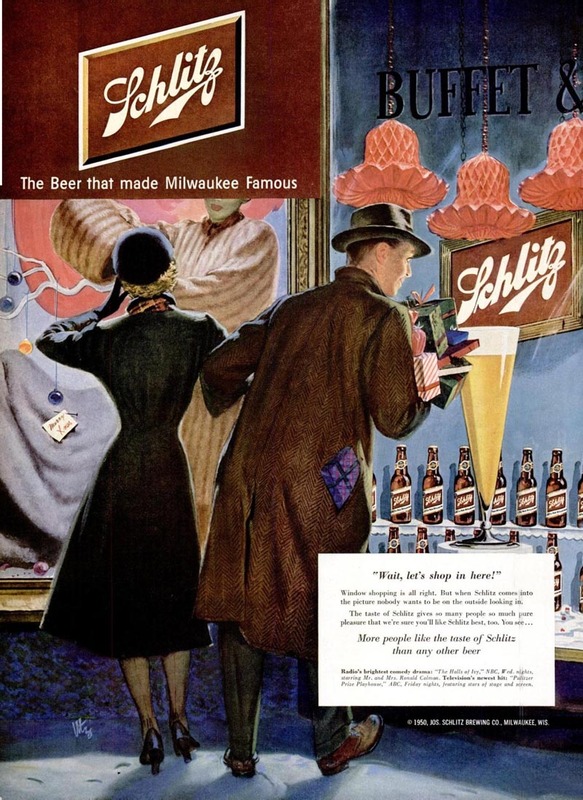 I have to admit though, that Hoover ad with the girl laying down is an awesome illustration, as is the Schlitz ad too -- again, great post! Thanks Eric! 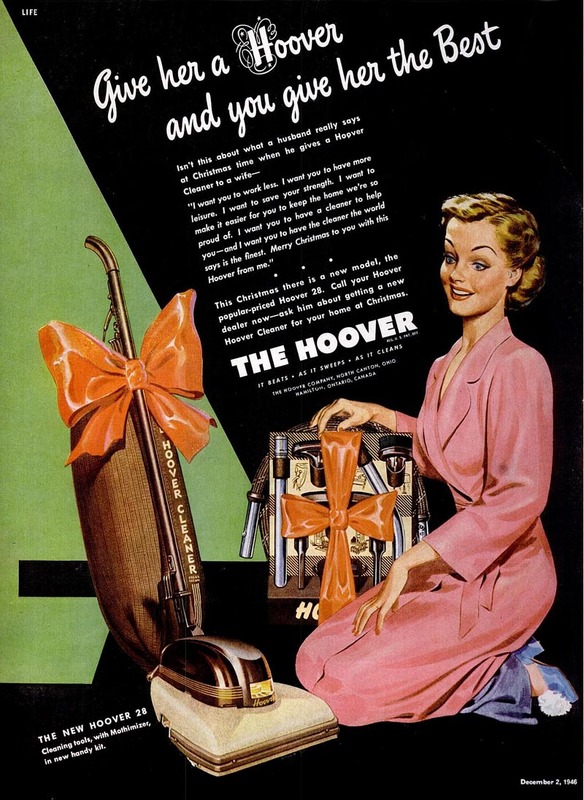 I had a lot of fun writing this tongue in cheek post - and yeah, that Hoover ad is a show stopper. 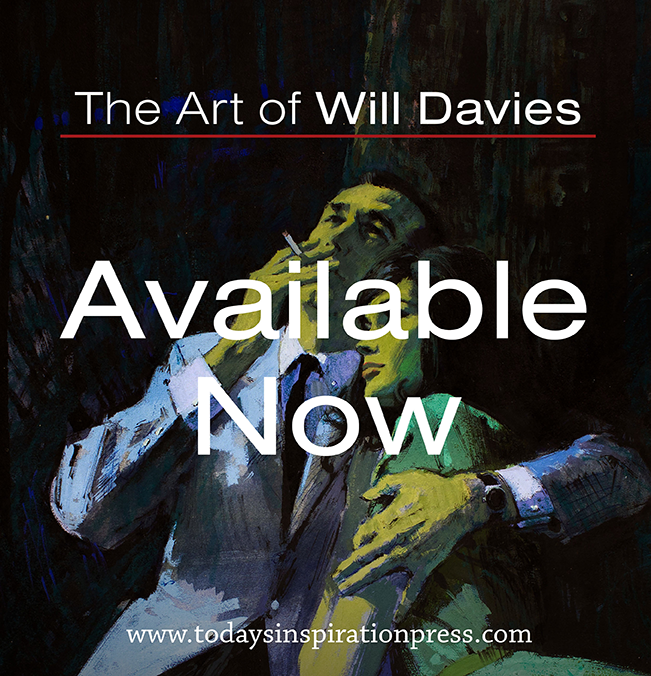 I've also had my own share of dopey gift ideas - which may explain why my wife laughed so appreciatively when I ran this post by her this morning! Leif, you just got through revealing to us that our ladies are fooling around with Santa on the side, sitting on his lap and dangling their silk stockings under his big red nose, and now we're supposed to reward them with some fancy gift? 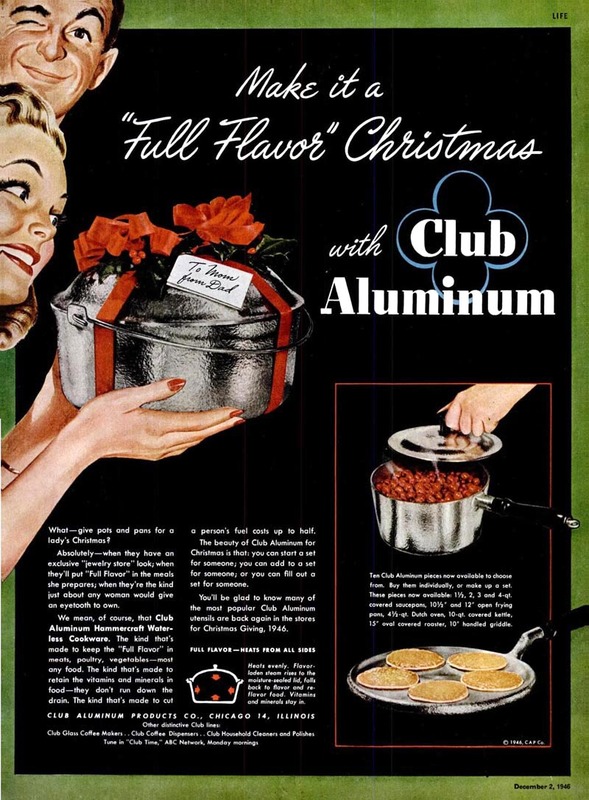 Maybe if they didn't all have Hoover vacuum cleaners, they wouldn't have had so much free time to get into mischief with Santa. I'm... uh... you got me there, counselor. My wife went to culinary school, every year her brother buys her a very nice knife for Christmas. I used to work for a guy and I'll never forget, one year his wife told him to buy her a lawn mower for Christmas. Different strokes and all I guess. This post is so funny - I was trying to read it to my husband but I was laughing so much he couldn't understand a word I was saying.